I’ve had some fun over the last week or so in the sketch book and wanted to share some of my favorite drawings. Posting sketches seems to be happening on a regular basis, and I hope you are enjoying taking a peak behind the scenes. I’ve also added a Don’t Pick the Flowers extra to this post and pulled a sketch from the archives. I’ve actually done more than this, but for this week I’ve picked these as winners to display. Below each drawing you will find an explanation of each particular sketch. 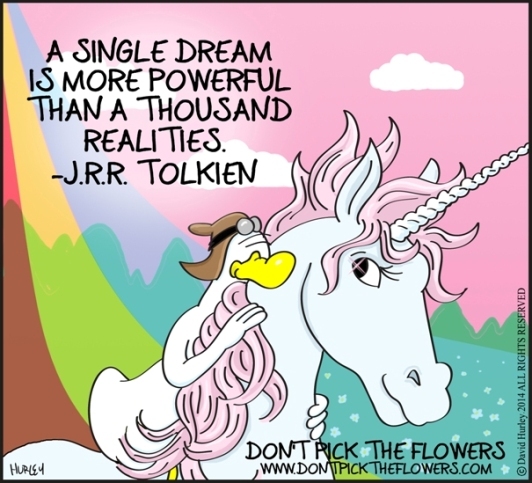 First artwork: Duck and Unicorn, an extra Don’t Pick the Flowers artwork with a quote from JRR Tolkien. Top Left: A warm up sketch I did one day of performance artist, Laurie Anderson. 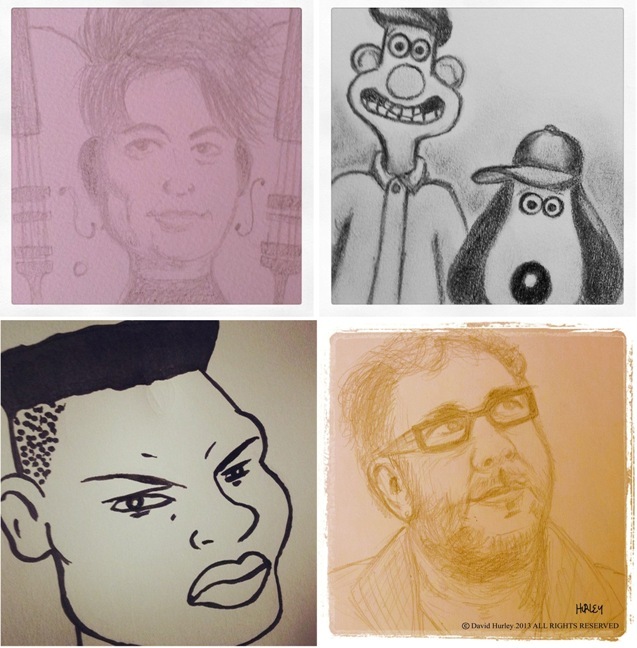 Top Right: A charcoal sketch of Clay Animation heroes Wallace and Gromit. Bottom Left: A cartoony marker sketch of Grace Jones. Bottom Right: Last week I posted a sketch of Elizabeth Fraser of the Cocteau Twins, this is Robin Guthrie (former Cocteau Twins now solo). I drew this last year on his birthday. Maybe I should have posted them side by side last week, but here he is. This entry was posted in General Information and tagged David Hurley, Don't Pick the Flowers, Duck, Grace Jones, Laurie Anderson, Robin Guthrie, Unicorn, Wallace and Gromit. Bookmark the permalink.